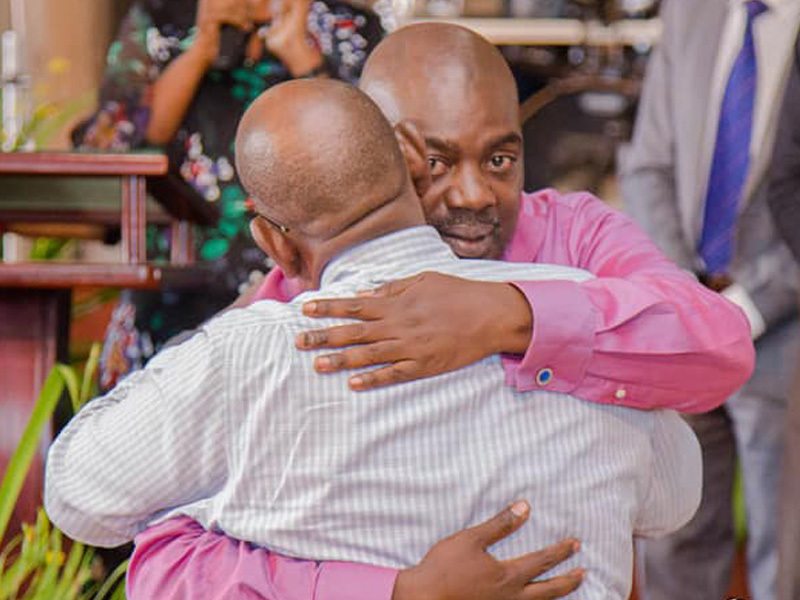 Arnold Ssimbwa, one of the survivors from Saturday’s boat cruise tragedy has narrated how he defied death. 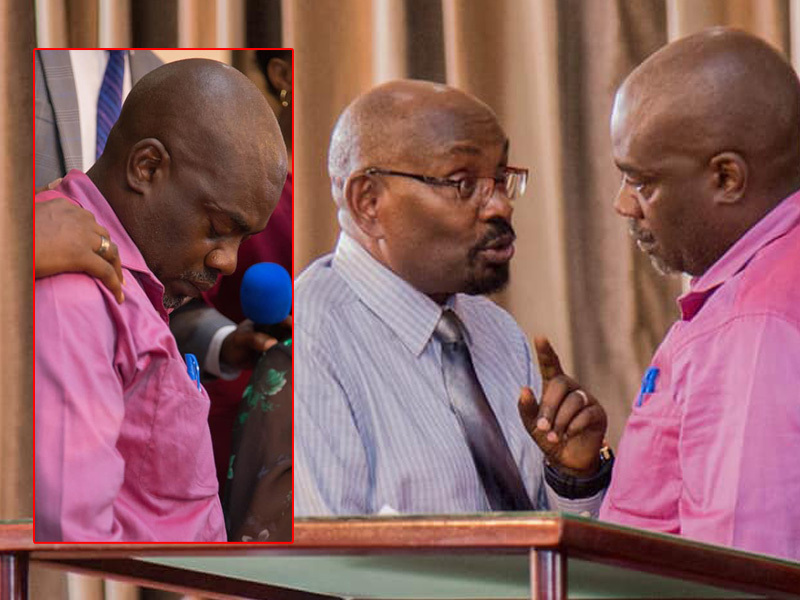 During the Sunday prayers at Victory Christian Center (VCC) in Ndeeba, Mr. Ssimbwa, a close friend to Prince David Wasajja, thanked the Almighty for saving his life. Mr. Ssimbwa narrated that, “Praise God Brethren, last Saturday I came back when everyone thought I was dead, many of you read my escape story. When I was on the boat, I recorded a video which went viral on social media, I was very drunk but later on I decided to get a nap, I slept on one of the speakers and as I was asleep I felt water in my shoes and I wondered if I had urinated on myself. On top of the boat’s mechanical issues, the condition of the lake was really bad, the boat was not stable as we sailed. It was 8:00pm, I looked forward where we were heading and the strong deadly waves were heading towards us from Gaba side and I said God be with us. I saw it coming, actually when the wave is coming, you see it when its already near so I skimmed to where I could attach myself. I started drawing survivor plans according to the directions I was thinking of because the distance to the shores was just 200 meters but it was dark for some one to tell and I quickly had to take a decision but for my state I couldn’t swim for long because I knew I could cover only 50 meters and drown. So I remained on the boat and with good luck, fate befell as I had planned and the wave hit my direction. That moment was survival for the fittest and every one was running for his or her dear life. Some gentleman was holding my leg, I asked myself should I kick him? but I couldn’t forgive my self for the rest of my life because I knew he was going to die. Eventually this gentleman left me slowly by slowly and dropped off. I was hanging on the boat while praying that God gives me one more chance I rectify all the mistakes I had done in the world. When we survived, I went to police, I just told them that I am not among the missing and am not dead, am not a survivor but let me be your case study. On my way from Mutiima beach, I came with 10 people who are not accounted for anywhere on the list, if you are to count, there are so many people who left home without saying where they were going. My wife came back home and she was green about everything that was going on but the maid saw me moving out, she had a premonition the previous night, her instincts told her that I was with prince Wassajja on the boat but she couldn’t tell my wife, she didn’t even eat. By the way I had earlier warned people not to board the boat because things seemed odd, we were supposed to leave at 10:00am but we left at 5:30pm. When we survived, one of the survivors I found on the shores asked me how I got on the boat because he saw me warn them before we sailed,” Mr. Arnold said.